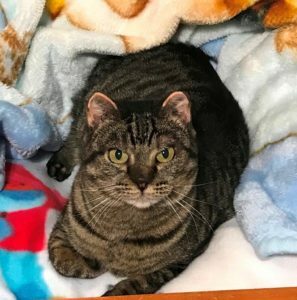 Bonita – Female DSH 6 Years a 3/13/19 fa – Foreclosed Upon Pets, Inc.
Six year old Bonita survived the trauma of a fire, losing the tips of her ears, and suffering a broken heart when she no longer had a home. 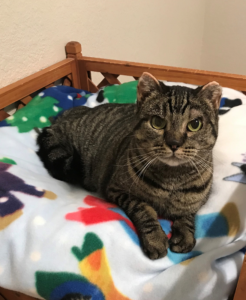 Despite the scars and incredible loss, she maintains a sweet, gentle temperament. 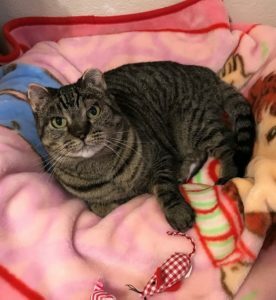 Bonita enjoys being close and will hold onto you, snuggling into your arms where she feels safe. 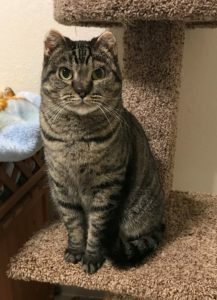 She is a social, friendly, playful girl who is great with other cats. Her adopt fee is $80.00.